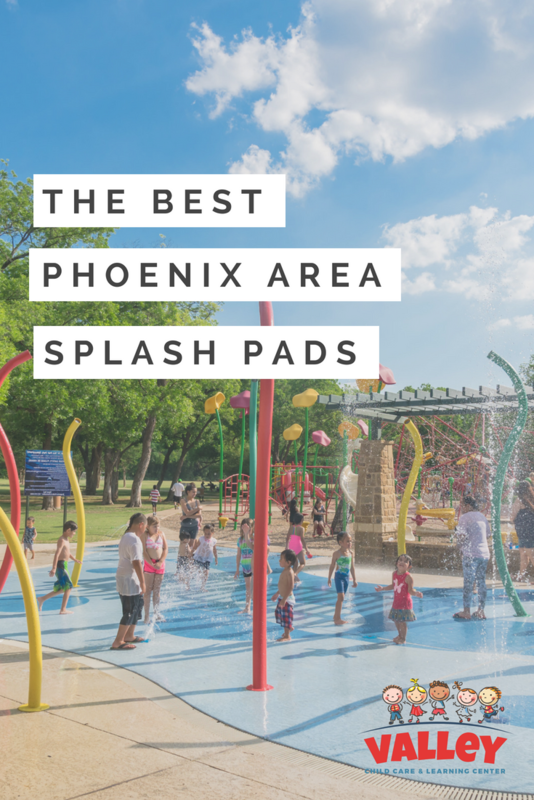 Arizona summer can be long and hot, so it is the perfect time of year for you and your toddler, preschooler or school-age child to enjoy outdoor play in a splash park. Many of the parks offer shooting, swirling and squirting water features, which makes it a lot of fun! Most of the splash pads are free, or if there is a charge, it is minimal, some starting at $1.00. No matter where you live in the Valley, there is a splash pad near you. 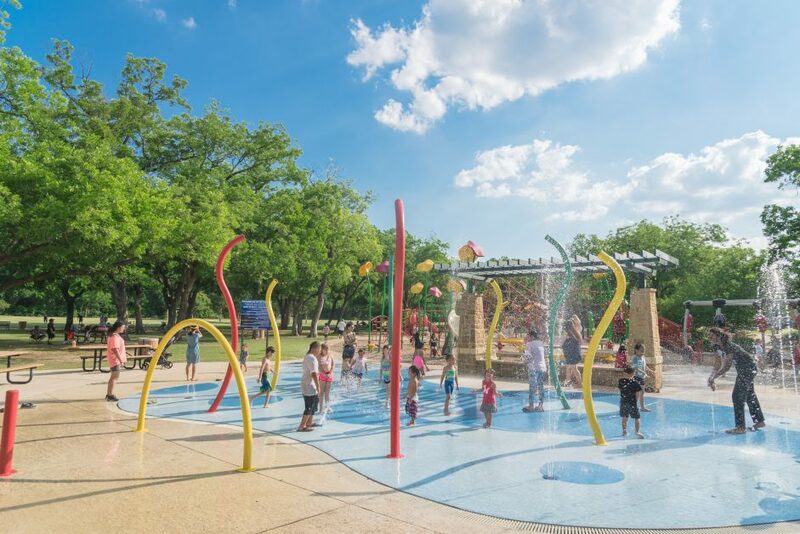 Here is a list of a few splash pads you should check out! Hudson Park – 1430 S. Cedar St.
Pecos Park – 17010 S. 48th St. Ensure your little ones are wearing “swim shoes” or shoes with a non-slip bottom to eliminate any chances of slipping while running around and having a blast! Always keep children within sight and watch for suspicious behavior or adults you are not familiar with. Make sure everyone stays hydrated! Bring water bottles, applesauce packets, juice boxes and whatever else your toddler or preschooler loves to drink! 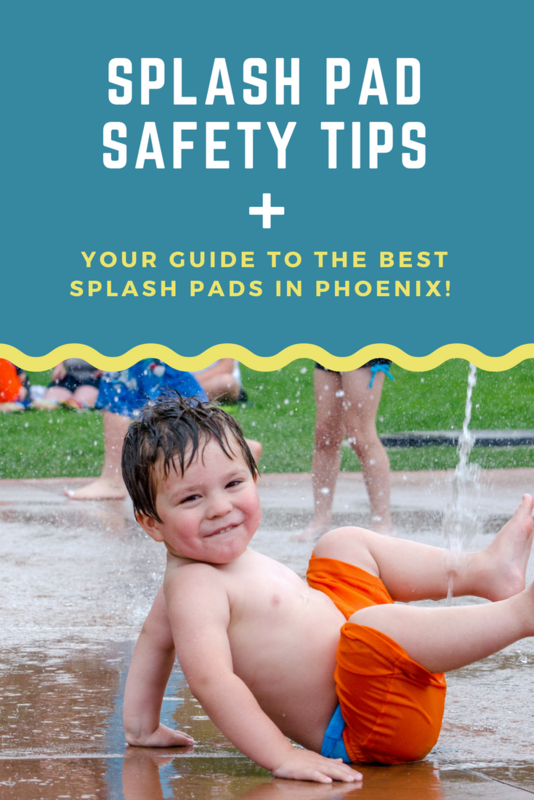 If your child is potty trained have them use the bathroom often, accidents while playing in the splash pad can lead to the spread of illness and further contaminations. Keep everyone properly covered in sunscreen and don’t forget to reapply!